﻿On this page we will learn a little about how our bodies are made and the changes it is capable of making, to give birth. Our bodies are truly one of the most amazing creations! Many women worry about being able to give birth but this is what we were created to do! Our bodies are capable of so much more than most of us realize! Understanding how our bodies work can help you not to be so scared during labor and birth. bodies are still able to maneuver their ways through the various turns and twists of the pelvis, and still find their way out! Your uterus is a hollow organ, located in the pelvic cavity and it is made mostly of muscle. There are 3 layers of muscle in the uterus. They have the function of contracting to push the baby out of the uterus and through the birth canal. The contractions will often start as a low cramping feeling in the abdomen near the pubic bone. As they increase in power they will reach further up toward the top of the uterus, gently pushing down on your baby to help her/him come out. As the muscles of the uterus push the baby down against the cervix, they will start to dilate or open. The contractions of these same uterine muscles will also later pinch off the blood supply to the blood vessels connecting to the placenta through the wall of the uterus, causing the placenta to separate and come out after your baby is born. During pregnancy the uterus changes from the size of a pear to the size of a watermelon. The weight of the uterus increases from 60gr. to 1000gr. at the end of pregnancy. WOW! So by the time your baby is ready to be born, your uterus has changes from an almost solid organ to a thin-walled sac, strong enough to push out up to 12 lbs. of baby. Amazing,huh!! Let's talk a little bit more about the bottom or lowest part of the uterus called the "cervix" as they make the most changes during your labor. Your cervix will start out long and hard and completely closed. 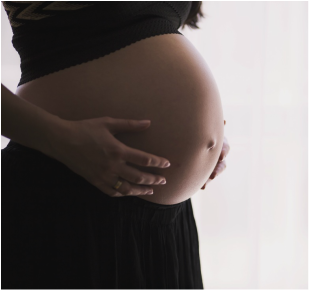 As the you get closer to going into labor, your body will start preparing for birth and cervix will soften and start to thin out, which is called "effacement". As the baby keeps moving down and putting pressure on the cervix they will start to open, which is called "dilation". Station, is another term you may hear when your cervix are being checked. 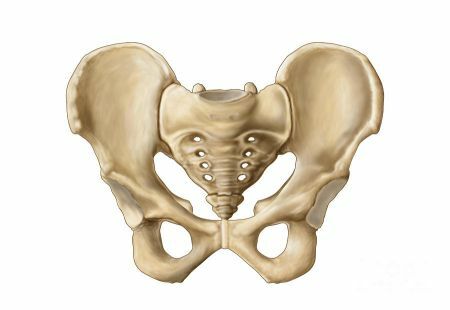 Station is referring to how far down the baby's head is in the your pelvis and is measured by some small bones in the moms hips called "ischial spines". You may hear your Dr. or midwife talk about -3,-2,-1 station and 0 or +1,+2,+3 station. A minus station means that the babies head has not reached the level of your ischial spines yet and zero means the head is even with the spines and plus means that it is lower or passed the spines. This can let your care giver know how much your baby is moving down. As the cervix start making changes mothers may notice pink discharge as the blood capillaries break a little during dilation. This is normal and nothing to worry about. The more you dilate the more you will see this. When your cervix are fully dilated to 10 cm you will be able to start pushing your baby out. The placenta at full term, is a bluish-red, round, flat, meat-like organ. About 15cm in diameter, 3cm thick, and about 1/2 of the babies weight. It serves the same function for the baby that kidneys, lungs, and intestines do for us. The placenta is made of materials from the mother and the baby. Working together, but not mixing the blood stream of the two. The baby gets nutrients and oxygen from the mother through the placenta. Another unique function is that the carbon dioxide and other waste products from the baby's go through the placenta to the mother for her body to get rid of. #1. The side attached to the mother is rough, red, and meaty looking. #2. The side attached to the cord is white,smooth and shiny with veins running through it. The baby does drink amniotic fluid and pee in the womb, but it doesn't breathe or digest food. The placenta does this part for the baby. The baby's blood is pumped through it's body by it's heart, but only 2 of the chambers function in the womb. The placenta does the rest of the work. Where as, and adult heart has all four chambers working. This fluid is located inside the amnion, (which is a strong sac) similar to a balloon but much tougher, that your baby will live in until it is born. The amniotic fluid usually amounts to around 1 to 1 1/2 liters at full term but this amount can vary for each mother and each pregnancy. This liquid is secreted from the inner membrane of the water bag (amnion). ﻿After 16 weeks, when the fetus begins swallowing the fluid, it consists partly of recycled urine.﻿ This fluid makes a nice shock absorbent and protector for your baby. Allowing baby to move freely. Some studies have suggested that it may transmit odors and flavors from your food, helping form your baby's future taste preferences. It also helps maintain a constant temperature; promotes growth and development of the fetus’s lungs, gastrointestinal system, muscles and bones; and prevents compression of the umbilical cord. ​The umbilical cord is the connection between mommy and baby inside the womb. In the placenta, oxygen and nutrients from your bloodstream pass into your baby's bloodstream and are carried to your baby along the umbilical cord. 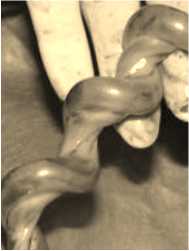 The cord is filled with a whitish-grey, jelly like stuff, that protects the umbilical vein and the two arteries from being compressed. Usually the cord is about 50 cm long and 2cm thick. Towards the end of your ﻿pregnancy﻿, the placenta passes antibodies through the umbilical cord from you to your baby, giving it immunity from infections for about three months after birth. 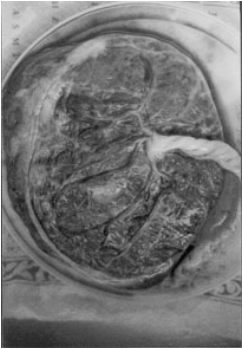 After delivery, the cord vessels close by themselves. The arteries close first, helped by their thicker muscular walls. This prevents blood loss to the placenta from your baby. 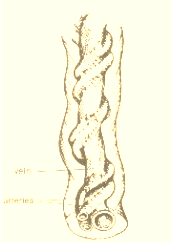 The umbilical vein closes slightly later (starting at 15 seconds, but only completed by 3 or 4 minutes). This allows blood to continue to return to your baby during the first few minutes of life. Which is why it's important for your baby's health to let the cord finish pulsing after birth before cutting it. There are no nerves in the cord, so cutting it isn’t painful for you or the baby. Between roughly 5-12 days after your baby is born, the umbilical stump will dry out, turn dark and fall off. This is not painful for your baby either; as long as it is not caught on anything or pulled off. If this happens contact your doctor or midwife, to be sure that everything is okay. Until the stump drops off and the belly button is completely healed, it’s important to keep the area clean and dry, to prevent infection.